As a loyal Tacos a Go-Go fan I’ve been anxiously awaiting the newest addition to the a go go family, Fajitas a Go-Go! I was excited to get invited to a special tasting lunch to sample their menu and learn about their concept. My friend Rachel and I had a blast spending the afternoon on their patio sampling their menu highlights and left full and happy. 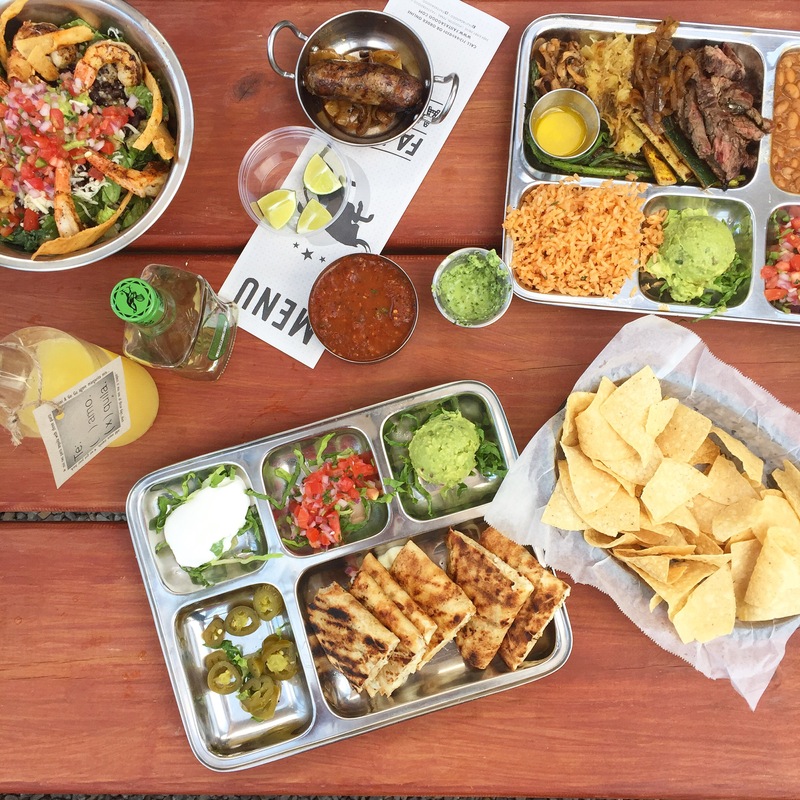 It’s safe to say it’s my new favorite spot in town when I’m craving Mexican food…I’ve been back 3 times and have been telling everyone I know to check them out. Their central location in West U has a spacious parking lot and outdoor patio with picnic style tables, twinkle lights, and they are dog friendly. You order at the counter and if you are dining in, they will bring your food out to you. If you place an order to go, they will offer you free beer while you wait! I highly recommend grabbing your besties and a bottle of tequila and pairing it with their homemade agave lime margarita mixture on their patio. Don’t forget the chips with addicting green crack tomatillo salsa. My Australian baking rockstar friend Lisa loved the rotisserie chicken quesadillas, these were no ordinary quesadillas. The quality of the cage free antibiotic free chicken and rotisserie flavor really made this an exceptional quesadilla. Their home-made tortillas also make a world of difference. Share this as an appetizer with friends, or it is satisfying as a meal when you are craving some comfort food/cheesy goodness. My favorite fajita combo is the beef and veggies. Their vegetables are far from the ordinary peppers and onion fajita classic. Theirs include spaghetti squash, zucchini, oyster mushrooms, green onions, and asparagus. A great option for vegetarians or anyone looking to round out their meal. The top quality certified Angus Beef sirloin is minimally seasoned to bring out the natural flavors. 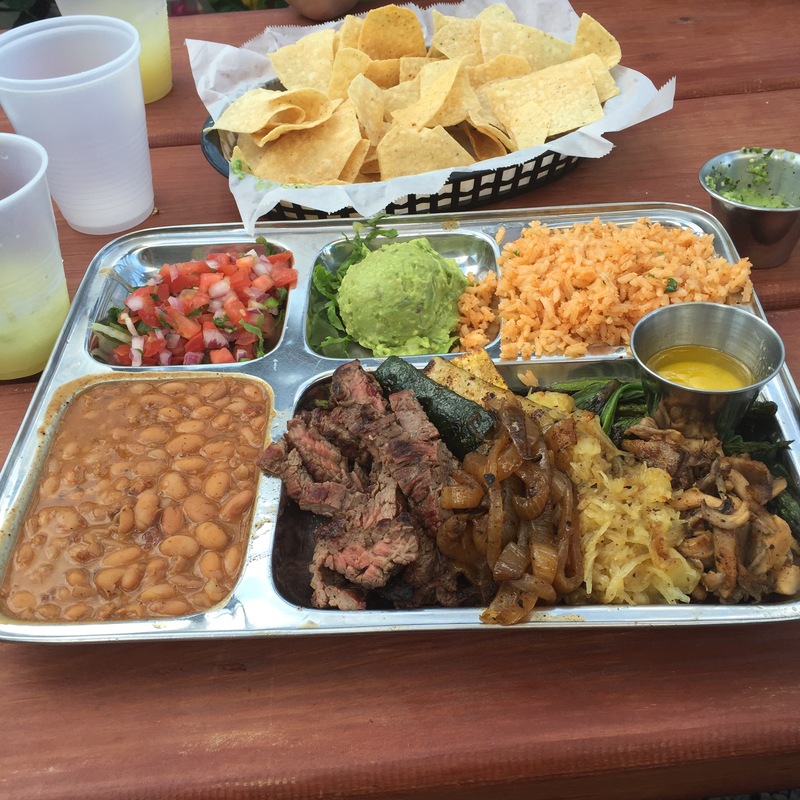 They serve fajitas on cafeteria style plates instead of a sizzling traditional platter because their meat is already perfectly grilled over mesquite. I also loved their guacamole, charro beans, homemade flour and con tortillas, and varied salsa options. So many tasty options! Lauren , my nutritionist friend/ inspirational runner, loved their grilled shrimp taco salad, it was a great healthy yet hearty option served with guac, pico de gallo, black beans, and corn tortilla strips. We also tried the house made wild boar sausage which was a hit. I can’t wait to cater from here and come back for more fajita and margarita nights on their patio. Definitely check them out if you are looking to mix up your Tex-Mex options in town, this is the real deal! 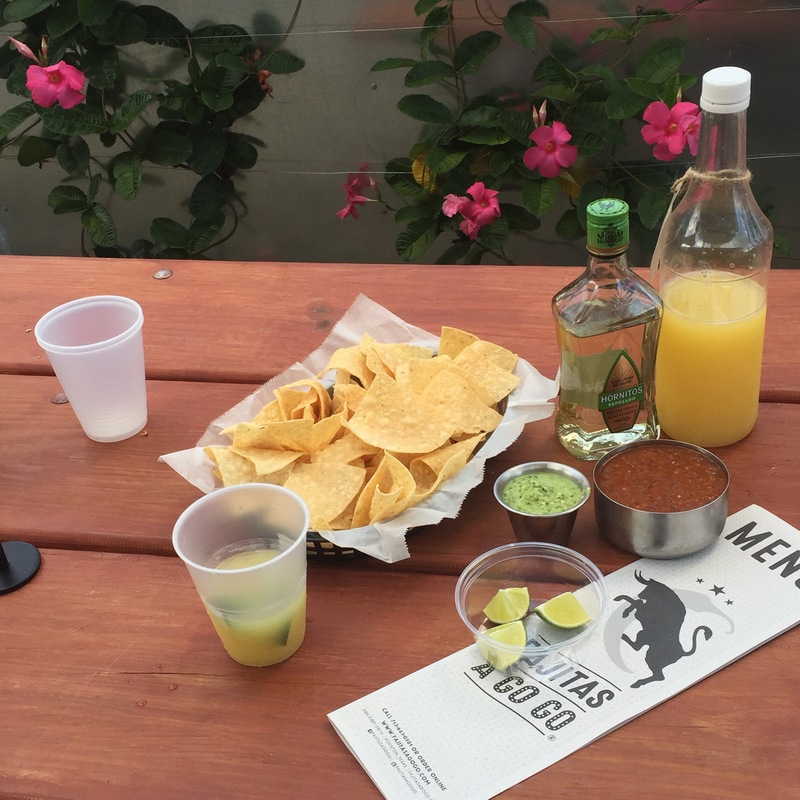 Friendly service, authentic food, incredible quality, and BYOB tequila…I mean c’mon.